Is moving to Hollywood in winter a good idea? If you have made up your mind about relocating to the dreamiest part of the West Coast, then there is a thing or two left to decide. One of them is the appropriate time of year to make this move. It is never easy to choose a time for moving. Some locations will make your move easier during summer. Others, however, have friendlier winter months. Depending on where you are currently located you may or may not know some basic facts about the climate in California and this part of the USA. 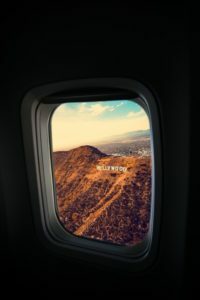 So is moving to Hollywood in winter the right choice for you? Hopefully, you will find out soon enough. Hollywood adventure is upon you. If moving during heavy snowfall and freezing temperatures have you all worried, think again. The first thing that comes to mind when one mentions winter is definitely snow. However, the climate around Hollywood is different. It hasn’t snowed around here since 1962, believe it or not. So if that was one of your concerns, you shouldn’t worry at all. Hollywood winters are milder than what you might be used to. Moving to Hollywood during winter is more likely to affect you by annoying you with rain! You probably know this by now, but the Hollywood climate is quite pleasant. Spring, summer, and fall usually bring warm and sunny days without much chance for clouds and rainfall. On the other hand, winter is the season for precipitation around here. Most of the 37 wet days that Hollywood experiences in the course of a year happen during winter. So if you are planning on your moving date to be in wintertime, you should take this information into account. Prepare for damp and cool weather and try not to let this discourage you. Other seasons could, however, be a better choice for relocating to Hollywood, at least weather-wise. It is a well-known fact that Hollywood is overflowing with tourist almost every day of the year. People come from all over the world to visit the popular landmarks and tourist attractions here. A whopping 40 million people visit Hollywood annually, but most of them come here during the sunshine seasons. As already mentioned, most Hollywood rainy days occur during winter, so expect to see fewer people in the streets. This may be a sort of advantage if you decide to move to Hollywood during winter. If your moving date is during the Christmas season, you may want to prepare in advance. Moving to Hollywood means getting used to tourists being everywhere. Winter is the season of holidays and snow, and Hollywood lacks this wintertime magic. Nevertheless, it has its own magic of the winter – the award season. Parties and celebrity events are numerous during the coolest season, and they may make you feel all the perks of living in the city of dreams. Famous movie stars are all around, most wanted faces are right there in your neighborhood. But be careful, celebrity events can also mean closed streets and parts of the city, and this could very well affect your moving day. 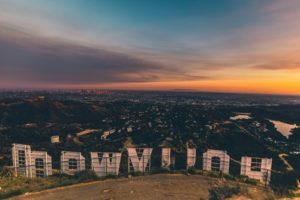 Celebrities having an impact on your relocation sounds like a good thing, but moving to Hollywood in winter will make you think twice. If you plan on renting your apartment, try to find one further away from the red carpet venues. Hiring professional movers can help you through the moving process. Perhaps the information you have so far will make you think twice about moving to Hollywood in winter. If you are changing your mind about the moving date, don’t worry. Other three seasons in this part of the country are warm and sunny and weather conditions are a thing you should definitely not worry about. Perhaps you will encounter more tourists or some closed streets, but at least you won’t have to worry about rain pour ruining your moving plans. Spring, summer, and fall are almost one very long sunny season in Hollywood and they make an excellent choice for setting the moving date. 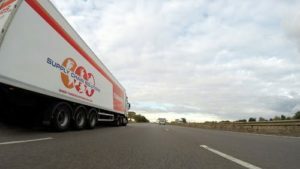 Changing your moving plans does not come easy, but you should know that this is not a problem in the long run. All you need is to prepare in time and announce the decision to anyone involved in your plans. So hopefully by now you are able to decide whether or not moving to Hollywood in winter is a sensible idea or not. Winter here is not the same as winter in other parts of the country, weather is milder and there is no snow. This makes the decision easier to make. Not having to worry about ice on the roads or clearing your driveway with a snow shovel are some of the perks of Hollywood winter. Closed streets and thousands of tourists are definitely a downside. 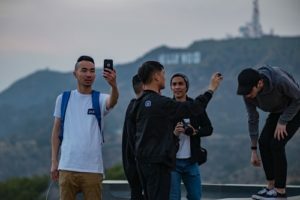 In the end, relocating to here means you have already made up your mind about living in Hollywood, and you have taken into account all its advantages and disadvantages.